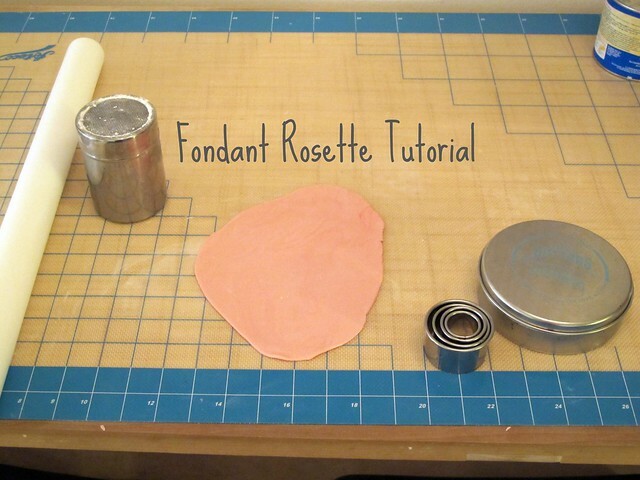 Roll out some fondant (or gum paste, if you have it) colored with the gel food coloring of your choice. To get this color pink, I used only the slightest amount of red. Sprinkle you fondant with a little confectioners sugar/cornstarch powder to keep it from sticking to anything. 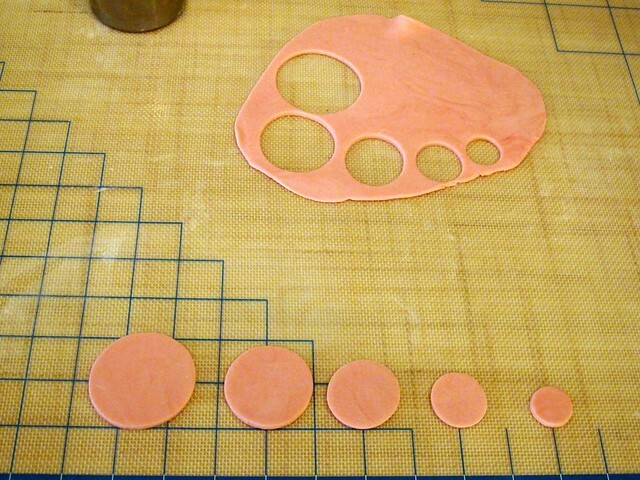 Cut out 5-6 different size circles. I used the smallest cutter of the Ateco Round Set and worked my way up. You can really do as many ask you like if you want a bigger flower, or 1 or 2 less if you want a slightly smaller flower. You might want to roll it once more to make it a little thinner. It's OK if it doesn't stay perfectly round. 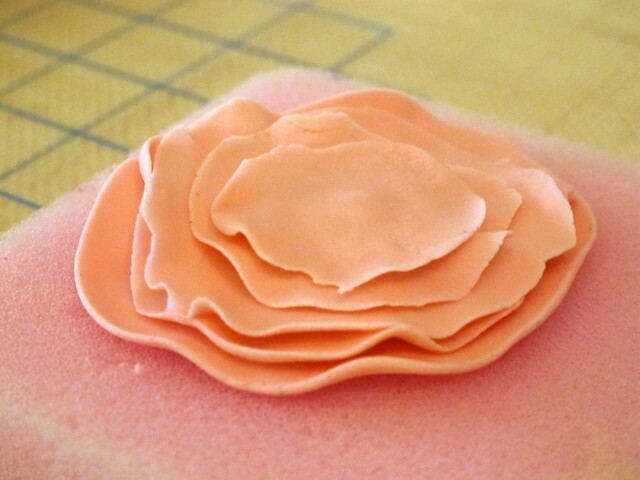 Place your fondant disc on a foam pad or sponge. 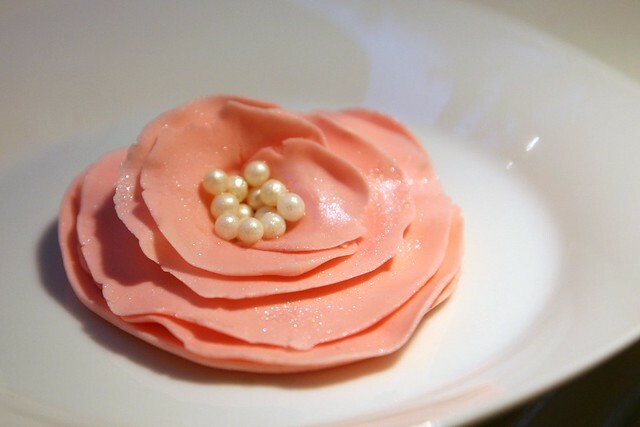 Ruffle the edge by rolling the round ball gum paste tool around the edge in a circular motion. You can make deeper ruffles by rolling firms forward in a pushing motion and rolling it back in a lighter motion. Gently place ruffled circle aside. 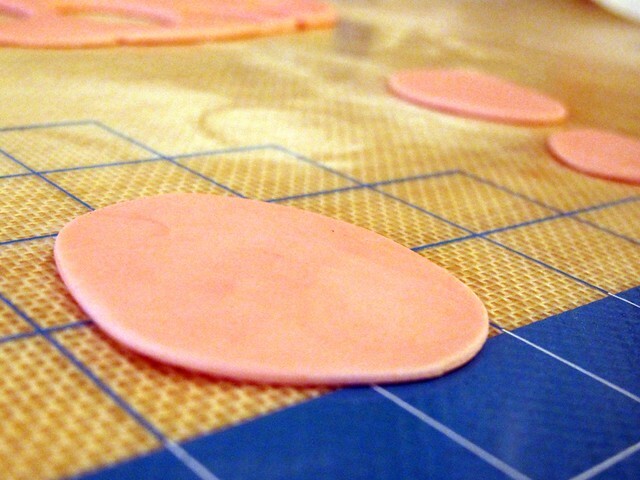 Repeat steps 3-5 for each fondant circle. Starting with the biggest ruffled circle sitting on the foam pad, stack the circles on top of one another with the centers aligned. 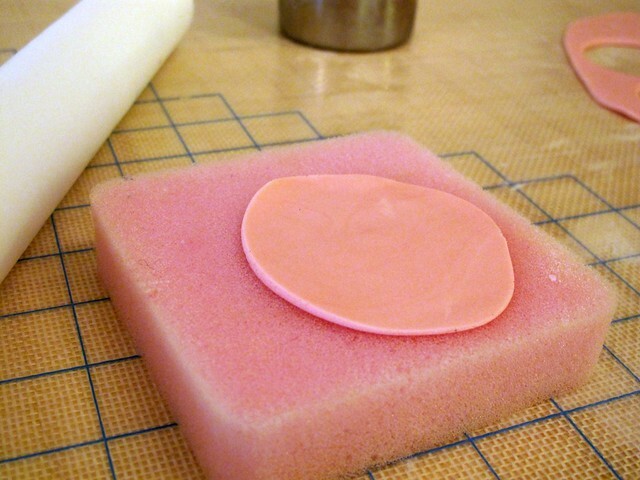 Using the cone shaped gum paste modeling tool, place the point of the cone tool into the center of the smallest circle and gently push down until you reach the foam pad. 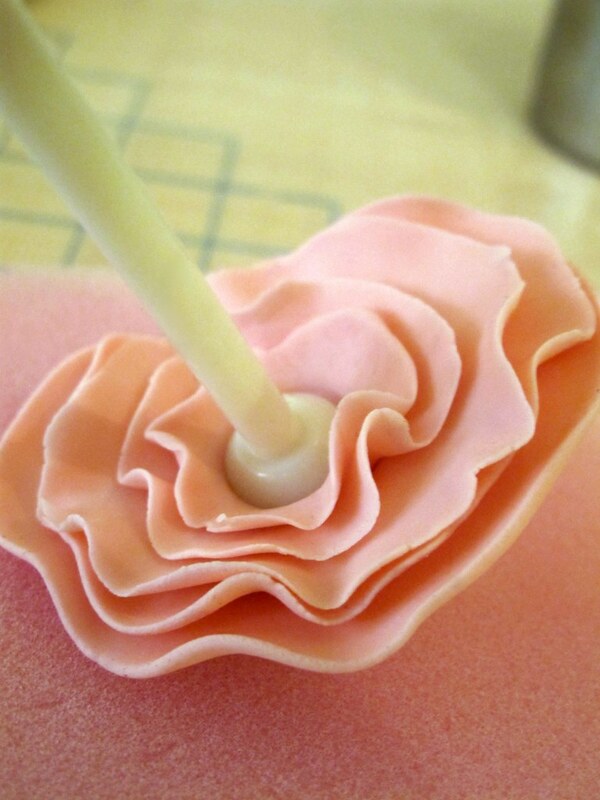 Pick up the flower using using the cone shapped gum paste tool kind of like a lollipop stick to hold the flower upside down. 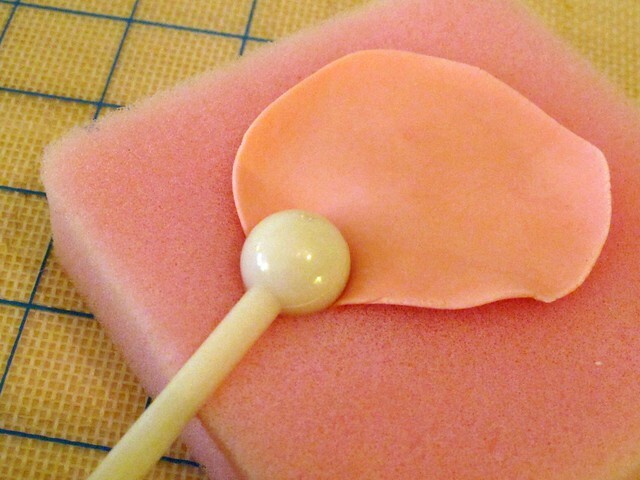 Use your fingers to pinch together the fondant around the tip of the cone to form the base of the flower. Take a break. Walk the dog. 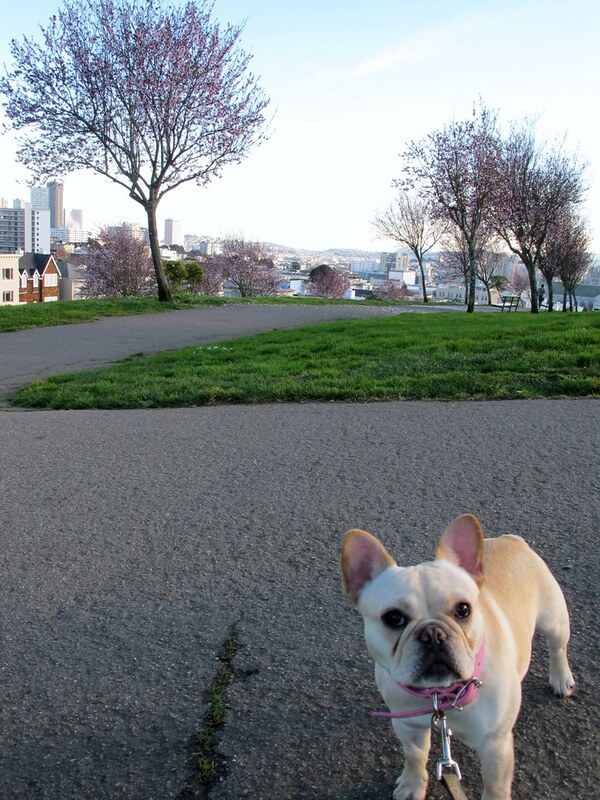 Go the park or something. 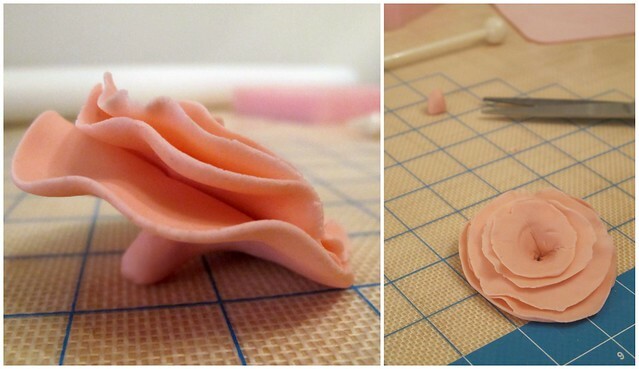 Using a scissor, trim down the tip of fondant on the base of the flower so it will lay flat or on a slight angle on top of your cake. 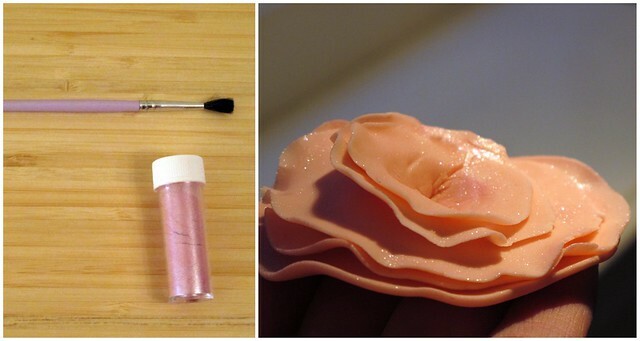 Using a paint brush, apply some pink luster dust on your petals if you want a little sparkle on your flower. 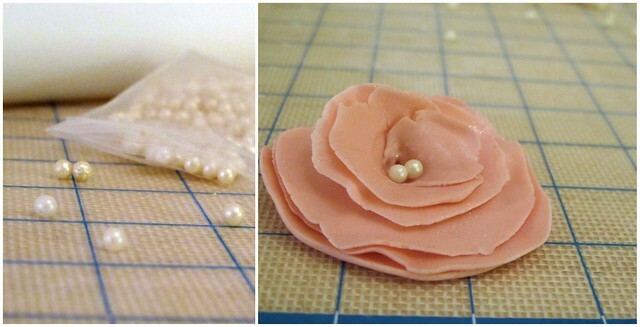 Lightly dip your paint brush in water (or tylose glue if you have it) and apply a little water where you will be placing each pearl in the center of the flower. That's basically it. Easy peasy, right? Set on top of a cake for decoration. Make more if you want or just keep it simple with one.